Since 1996 SIGN has served teams of strategic intercessors and both ministry and marketplace leaders around the world: from Asia, Australasia to the across the African continent, Israel, the Middle East to Europe, Eastern Europe and into Russia and the CIS States, as well as across North and Central America. Wherever they are, the network of SIGN members are good citizens whose efforts build community and are a blessing to those around them. SIGN members come from every walk of life, but have a disproportionate representation of leaders, because intercessors functionally serve a leadership role. 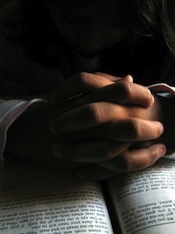 More than just people of faith who pray seriously, strategic intercessors reach for the big picture in understanding the times and knowing what to do. They touch the hem of His garment in their quest for and grasp of God’s heart on matters. They take responsibility for their spheres of influence, their communities and spiritually stand in the gap, making a difference and bringing change through the time they spend in the presence of the Lord. SIGN members range from housewives and laborers to a large array of pastors, Messianic rabbis, mission practitioners, entrepreneurs, business owners, executives and heads of ministries and intercessory groups. Because of our focus on what God is doing in the marketplace, the SIGN network reflects owners of family-owned businesses and corporate executives and professionals (legal, medical, psychotherapy, financial, academia) from almost every nation we serve. These modern-day Josephs in our network are complemented by modern-day Daniels: elected governmental officials, advisers to heads of state and leaders in governmental agencies in the nations we serve. The SIGN network gives special focus to and is represented from both the persecuted and oppressed segments of the Body. In each case, whether serving as local community-builders for the Lord or modern-day Josephs and Daniels whose influence is shaping the course of nations, the Strategic Intercession Global Network works along side those whose thrust enhances both the bottom-up and top-down dimensions of God’s economy in order to facilitate God’s purpose for the times we have entered. The web-site of our parent ministry, Global Initiatives (www.strategic-initiatives.org) also has available a series of 24 videos on Jewish business secrets that unveil the rich heritage we have spiritually and strategically from the Jewish roots to the faith. Morris Ruddick is a business executive, consultant, entrepreneur, intercessor, conference speaker, board member, and writer. He is at the forefront of mobilizing a unique group of anointed marketplace leaders, referred to as modern-day Josephs and Daniels. As head of a market planning consulting firm serving an array of clients from Fortune 500 firms to respected ministries, his expertise includes business planning, forecasting emerging markets, executive coaching, techno-market evaluations, service performance strategies, and the application of biblical principles in the development of corporate strategies. He was chief architect in two successful corporate turnarounds. Mr. Ruddick’s ministry activities target strengthening the brethren from Afghanistan and Israel; to Eastern Europe and the FSU; across Africa and within Asia; and throughout North America. His agendas range from community-based business startups to leadership training for community to national leaders. He has been at the forefront of multinational chamber of commerce initiatives. His service on outside boards includes serving as one of the founders of an Israeli consortium that provides humanitarian aid to new immigrants and with Love Botswana, a multi-dimensional outreach shaping the spiritual and educational climate in central Africa. Morris Ruddick is author of “The Joseph-Daniel Calling;” “Gods Economy, Israel and the Nations;” “The Heart of a King;” and “Something More,” which address the mobilization of business and governmental leaders called to impact their communities with God’s blessings. 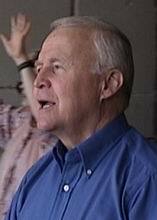 At the foundation of both his business and ministry activities has been his role as founder and Executive Director of a global network of strategic intercessors known as SIGN (Strategic Intercession Global Network), which has as its foundational purpose to define and describe strategic-level issues impacting the Body globally.